In ancient Greece, the god Hephaestus (also known as Hephaistos), was the god of fire, metallurgy, and blacksmiths. His powerful skills and abilities allowed him to create masterworks made from metal. He was the blacksmith to the Gods. Though not only a weapon maker, he was responsible for some of Greek mythology's greatest weapons and armor, including Hermes' helmet and Achilles' shield. 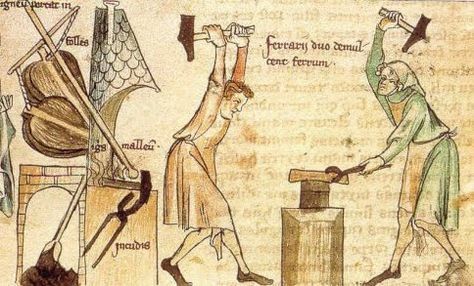 During the Middle Ages blacksmiths were considered “superior to other artisans, owing to their faculty of seemingly toying with fire, rendering the dangerous element subservient to their will, and by its aid manipulating iron with ease and dexterity”. St. Dunstan (909-988 A.D.); a highly skilled blacksmith and jewelry maker was considered the patron saint of all smiths. 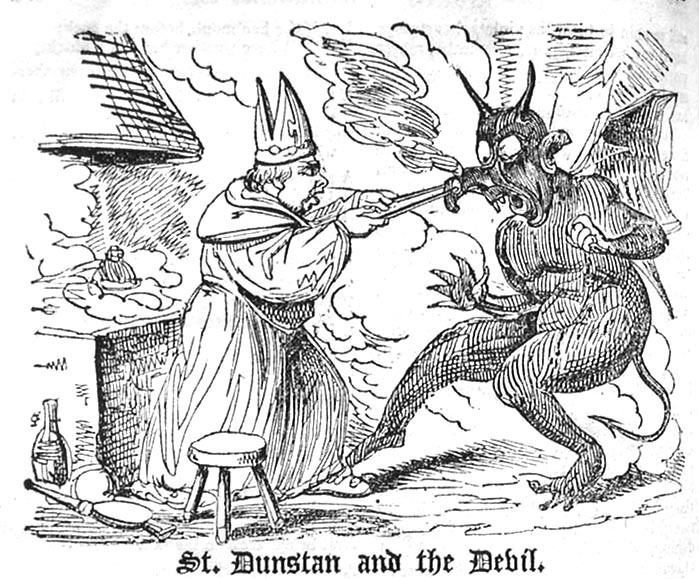 There are a variety of stories having to do with St. Dunstan and his encounters with Satan. One popular tale tells of Dunstan diligently working at his forge, when he encountered the devil disguised as a beautiful woman. The Devil tried hard to lead him into the world of sin but the clever smith spotted his split hooves under the disguise and realized she really was. 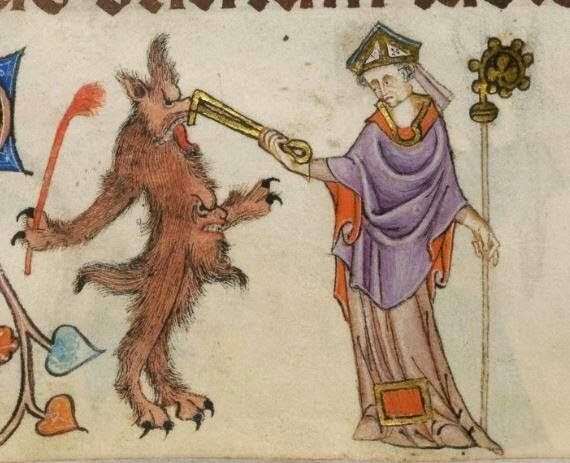 Dunstan seized the devil by the nose using his broiling tongs, causing him to roar in pain and anguish. That he was heard three miles or more”. In European folklore, the blacksmith has sometimes been associated with malevolence (the medieval vision of Hell may draw upon the image the smith at his forge), and several variant tales tell of smiths entering into a pact with the devil to obtain fire and the means of smelting metal. “The Smith and the Devil” is a story is of a smith who makes a pact with a malevolent being—commonly the Devil (in later times), Death or a genie—selling his soul for some power, then tricks the devil out of his prize. In one version, the smith gains the power to weld any materials, then uses this power to stick the devil to an immovable object, allowing the smith to renege on the bargain.